If you’re going to write a song about writing a classic song, and you’re going to call that song ‘Classic’, then you had better be confident that the song has a chance of living up to its own billing. 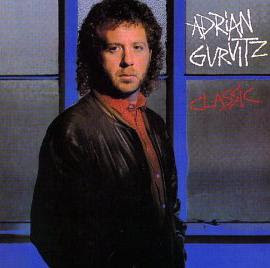 By 1982 singer/songwriter Adrian Gurvitz (born Adrian Curtis) had over fifteen years experience as a professional musician, and had played with, and produced, a number of bands. Gurvitz first picked up a guitar at the age of eight, put it down again because it belonged to someone else, then eventually picked up his own soon after. Music quickly became the central theme in Gurvitz’s life, and he was soon studying at the Royal Academy Of Music. He also grew up around popular music due to his father being a tour manager for Cliff Richard & The Shadows, and The Kinks. After a fleeting association with British psychedelic-pop outfit Rupert’s People, Gurvitz formed his first band The Gun, who scored a hit in 1968 with the powerful rock track ‘Race With The Devil’ (UK#8/OZ#15). The Gun also featured Adrian’s brother Paul and Louis Farrell. 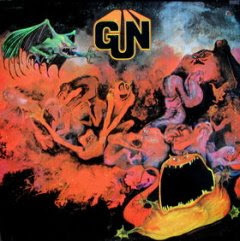 Gun recorded two albums for the CBS label (‘Gun’-1968 and ‘Gunsight’-1969), and established a reputation as a hard rock powerhouse, even credited in some circles as a formative influence on the heavy metal explosion soon after. 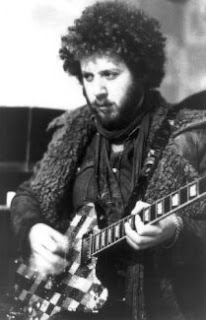 Adrian Gurvitz was the chief songwriter and lead guitarist, and became somewhat of a cult hero to the then underground hard rock movement. Following the sudden death of Jimi Hendrix, drummer Buddy Miles (who had played with Hendrix in Band of Gypsys) invited Gurvitz to join him in the re-formed band the Buddy Miles Express. Gurvitz accepted the invitation and toured/wrote with the Buddy Miles Express over the next year or so, mostly in the U.S. Gurvitz then opted to return to the U.K. and form his own band again. Three Man Army once again featured Gurvitz’s brother Paul on bass, but recruited a revolving door roster of drummers for the line-up (including former Jeff Beck drummer Tony Newman). The Three Man Army continued Gurvitz’s brand of hard rock, which some saw as trite formulaic arena rock. They released three albums, ‘A Third Of A Lifetime’ (1971), ‘Three Man Army’ (1973) and ‘Mahesha’ (1974) on the Reprise Record label, and toured with the likes of the Doobie Brothers, before splitting ranks. 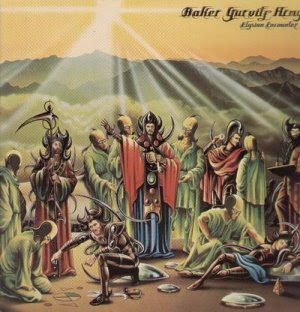 The Gurvitz brothers decided to maintain the military motif when they joined with ex-Cream drummer Ginger Baker to form the Baker Gurvitz Army, who released three albums, ‘Baker Gurvitz Army’ (1975), ‘Elysian Encounter’ (1975) and ‘Hearts On Fire’ (1976). Their live touring line-up also featured vocalist Snips and keyboardist Peter Lemer. During the same period Adrian Gurvitz was also a key member of The Graeme Edge Band, the part-time project of the Moody Blues drummer. 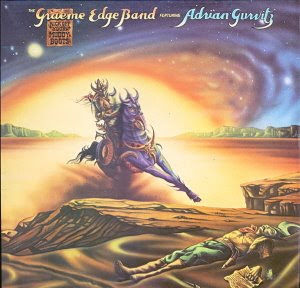 The Graeme Edge Project recorded two albums together, ‘Kick Off Your Muddy Boots’ (1975), which was credited to ‘Featuring Adrian Gurvitz, and ‘Paradise Ballroom’ (1977). Gurvitz then decided to leave the whole ‘life in the army’ band thing behind him and try recording some solo material. He signed to Jet Records (the home of E.L.O.) and released his debut solo set ‘Sweet Vendetta’ in 1979. Neither the album, nor singles ‘The Way I Feel’ and ‘Untouchable And Free’, made any impact on the charts, despite benefiting from several members of Toto playing on the set. The follow up album ‘Il Assassino’ (bit of an Italian theme going there) had a more laid back smooth soul feel, but it also failed to hit its target. Gurvitz parted ways with Jet Records but continued to write material, and in late ‘81 he penned the laid back soft rock ballad ‘Classic’. The song was released on Micky Most’s RAK label in the U.K. and was soon sitting comfortably inside the British top 10 (#8) in early ‘82. A few months later it hit the Australian charts and went on the peak at #12 mid year. I scored my first copy of the song via its inclusion on the compilation ‘1982...Out Of The Blue’. 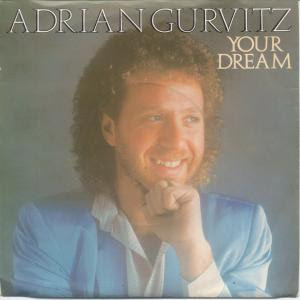 Gurvitz released a follow up single ‘Your Dream’ which reached #61 on the British charts, but that was the end of the chart action for Adrian Gurvitz the performer. 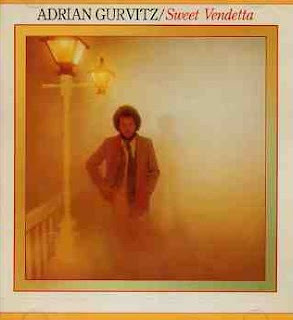 In 1982 Adrian Gurvitz the song writer also scored his biggest hit when he penned ‘England, We’ll Fly The Flag’ which was the official song for England’s 1982 World Cup Football Squad, and peaked at #2 on the U.K. charts. Gurvitz continued to write and produce music for other artists, and in 1989 he penned ‘The Love In Your Eyes’ which was a US#24 hit for Eddie Money (see future post). 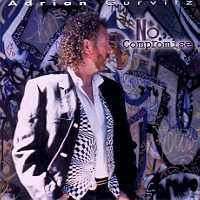 That same year Adrian Gurvitz was signed by Warner Chappell Music as a staff writer. He contributed songs to albums by CeCe Winans, Paul Young, Meredith Brooks, Steve Perry and Youssou N’dour, and penned the song ‘Even If My Heart Would Break’ from the soundtrack to ‘The Bodyguard’ (the song was recorded by Aaron Neville and Kenny G). From psychedelic-pop through hard rock to easy listening ballads - that’s quite the quantum leap. 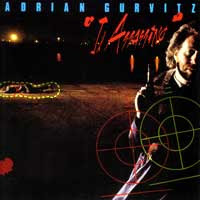 In 1996 Adrian Gurvitz released his first album of new material in over fifteen years with ‘Acoustic Heart’. The set showcased a silky smooth jazz infused pop, which revealed yet another side to a musician who has all the stylistic bases covered. His most recent album was 2000’s ‘No Compromise’. Gurvitz has continued to write/produce for other artists, and in recent years has produced a lot of soundtrack work for Disney and Jive Records. Gurvitz’s daughter Carly Lewis is a member of the all-girl group No Secrets, who scored a U.S. hit with ‘That’s What Girls Do’.